January to September 2018: PSA was again the largest carmaker in France while Renault was the best-selling brand and the Clio the top-selling model. During the first nine months of 2018 the French new car market expanded by 6.5%. Most major car manufacturers increased sales in France with the French manufacturers performing particularly well. The PSA Group remained the largest carmaker in France followed by Renault and the Volkswagen Group as largest car importer in France. Renault was the top-selling brand followed b Peugeot, Citroen and Dacia. 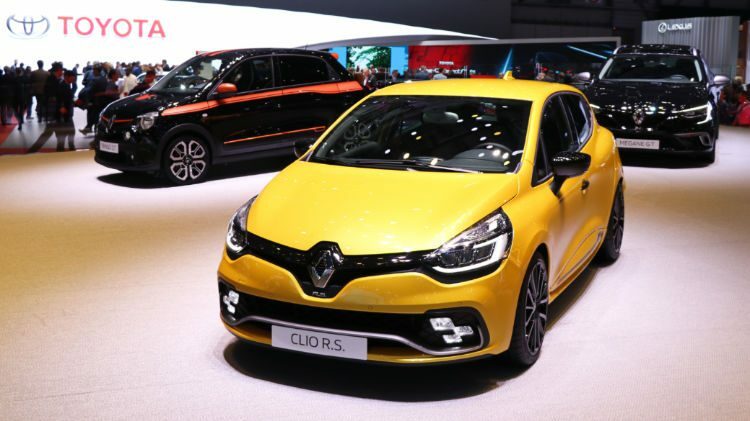 The Renault Clio and Peugeot 208 were again the top-selling car models while the Toyota Yaris replaced the VW Polo as the favorite foreign car model of the French in 2018. New passenger vehicle registrations in France increased by 6.5% during the first nine months of 2018 with 1,662,684 cars registered for the first time – an increase of 100,000 cars compared to the same three quarters of 2017. The move away from diesel continued with petrol vehicles taking a 54% share of the French new car market thus far in 2018 compared to 40% for diesel. During the first three quarters of 2017, diesels had a 48% share and petrol 47%. Thus far in 2018, electric cars had a 1.22% share of the French new car market with 20,223 registrations compared to 1.2% and 18,763 electric cars sold during the first nine months of 2017. The PSA Group easily maintained its position as largest carmaker in France. Even without the addition of Opel, PSA numbers improved with all three traditional brands increasing sales. DS sales were up by a fifth but still short of the around 22,000 vehicles the brand sold during the first nine months of 2016 and 2015. Renault remained the second largest carmaker in France with both Renault and Dacia increasing sales. Renault remained the largest car brand in France while Dacia overtook Volkswagen for the first time. The Volkswagen Group remained the strongest foreign car manufacturer in France during the first three quarters of 2018 with all brands except Audi increasing sales. Seat sales in France were up by a quarter while Skoda sales were up by a fifth. The FCA Group increased sales by nearly a quarter with all three largest brands increasing sales in France strongly: Fiat (23%), Jeep (44%) and Alfa Romeo (11%). The Toyota Group slipped behind FCA despite increasing sales by 9.4%. Ford, BMW and Daimler all had weaker sales for all brands. Sales of the Hyundai Group were up by 22% with both Hyundai and Kia brands increasing sales strongly in France thus far in 2018. Nissan was by far the worst performing carmaker in France in 2018 with the exception of GM that is making its final appearance in the car sales statistics. Opel sales were still listed as part of GM during the period January to August 2017. Renault, Peugeot and Citroen maintained their traditional roles as the leading car brands in France with all three brands increasing sales. Peugeot grew the fastest and halved the gap to Renault in the past two years. Dacia sales in France during the first three quarters of 2018 increased by more than a fifth allowing Renault’s budget brand to outsell Volkswagen for the first time in France. VW sales increased by 3.8% to near the levels of 2016. Toyota increased its lead over Ford, which was one of very few leading brands with lower sales in France in 2018. Fiat was the most improved top brand and moved from tenth to eighth largest carmaker in France. Opel sales were hardly changed from a year ago while Nissan slipped from eighth a year ago to tenth. Despite slightly weaker sales, Mercedes Benz and BMW both moved up one position as Audi slipped two places with the weakest performance of any top brand in France in 2018. The Renault Clio and Peugeot 208 maintained their traditional positions at best-selling car models in France during the first three quarters of 2018. Both models increased sales despite model updates due next year. The Clio increased market share by 0.1% to 5.6% while the 208 slipped by 0.1% to 4.6%. The Peugeot 3008 was again the third best-selling car model in France thus far in 2018 while the Peugeot 2008 and Peugeot 308 slipped from fourth and fifth to seventh and eighth. As a result, the Citroen C3, Renault Captur and Dacia Sandero each moved up one position. The Renault Megane was again the ninth most-popular car in France in 2018 while the Dacia Duster entered the top-ten list for the first time. Last year’s number ten, the VW Polo, slipped to 14th position and also lost the title of the favorite imported car in France to the Toyota Yaris.